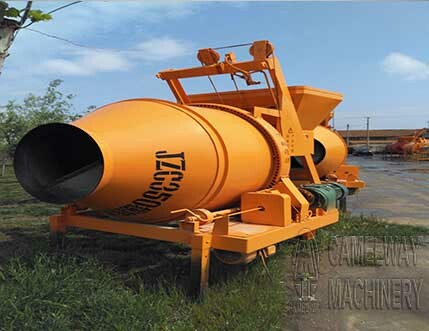 JZC series concrete mixer is a gravity type of double-conic reversing drum concrete mixer, it is portable and movable. The concrete mixer mixes when turning clock-wise and discharges when turning reversal. It is the ideal machines for construction sits, road, bridge project, and some small or medium concrete components factory. Automatic-type’s hopper is driven by conical motor, and hopper up & down, mixing drum converse & reverse rotary is controlled by electric cabinet, sub-automatic type’s hopper is operated by handle. Besides, this model can be driven by electric or diesel engine, to meet the requirements of different construction conditions. 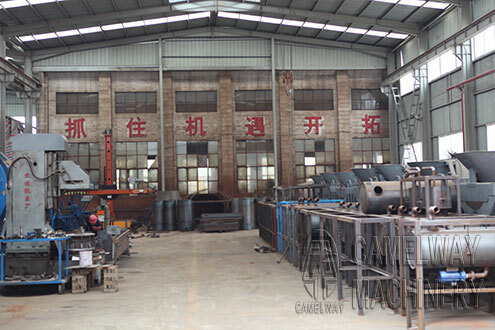 The machine is an advanced type of mixing machine. It is original in structure with a light weight and beautiful appearance. It can be operated, remove and maintained easily and have a high productivity and good-quality mixing.